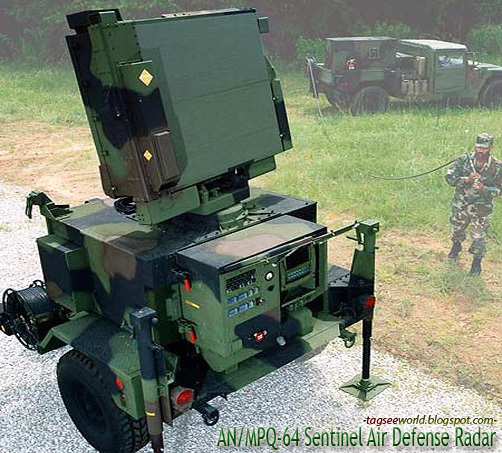 PATRIOT is the abbreviaton of “Phased Array Tracking Radar to Intercept On Target”. The Patriot missile system has a remarkable goal to target. It is designed to detect, target and then hit an incoming missile that may be no more than 3 to 6 meters long and is typically flying at three to five times the speed of sound. The upgraded Patriot system can also destroy incoming aircraft and cruise missiles. The Patriot missile system has been deployed in many situations because it is able to shoot down enemy missiles (e.g., Scud missiles) and protect soldiers and civilians from a missile attack. Patriot missile batteries were activated several times in the Iraqi war and were used extensively in the 1991 Gulf war. In this article, we will look at the technology that allows a Patriot missile to accomplish its goal. Like the Stinger missile and the Sidewinder missile, the Patriot is a guided missile. However, the Patriot is somewhat more sophisticated. In both the Stinger and Sidewinder missiles, the infrared seeker is sensitive to engine heat. A human being is responsible for finding and identifying the target, appropriately aiming the missile so that the patriot heat-seeking eye can lock onto the target, and then firing the missile. A Patriot missile, instead, depends on radar. The Patriot missile system uses its ground-based radarto find, identify and track the targets. An incoming missile could be 80.5 kilometers away when the Patriot's radar locks onto it. At that distance, the incoming missile would not even be visible to a human being, much less identifiable. It is even possible for the Patriot missile system to operate in a completely automatic mode with no human intervention at all. An incoming missile flying at Mach 5 is traveling approximately one mile every second. There just isn't a lot of time to react and respond once the missile is detected, making automatic detection and launching an important feature. The missile launcher, which holds, transports, aims and launches the missiles (M-901). This part is necessary because each missile weighs almost 1 ton. 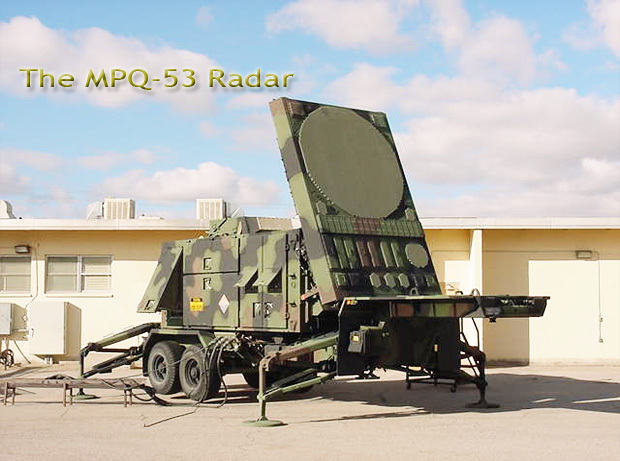 A radar antenna (MPQ-53 or MPQ-65) to detect incoming missiles. A power plant truck equipped with two 150-kilowatt generators that provide power for the radar antenna and the ECS. Since a Patriot missile battery can have up to 16 launchers, and there are also spare missiles to re-supply the launchers as missiles are fired, you can see that deploying a Patriot missile battery is not a small endeavor. Each launcher is roughly the size of a tractor-trailer rig, as is the ECS and the power supply truck. There are also operating personnel, technicians, support personnel, fuel for the generators, security forces to protect the battery. The Patriot Advanced Capability-3 (PAC-3) ballistic missile defense is the U.S. Defense Department’s priority short-range theatre ballistic missile defense program. The program is managed by the U.S. Army Lower Tier Project Office (LTPO) and is sponsored by the Missile Defense Agency (MDA). The PAC-3 Missile is a high velocity interceptor that defeats incoming targets by direct, body-to-body impact. PAC-3 interceptors, when deployed in a battery, will significantly increase the system’s firepower, since 16 PAC-3s load-out on a launcher, compared with four of the Patriot PAC-2 interceptors. The missile was first deployed during Operation Iraqi Freedom in March / April 2003. In February 2004, Lockheed Martin was awarded a production contract for 159 PAC-3 missiles, which includes 22 missiles to replace those expended in Iraq. Deliveries are to complete by April 2006. A further contract for 156 missiles was received in February 2005. Of these missiles, 32 are for the Netherlands and 16 for Japan under foreign military sales (FMS) agreements. The Netherlands received the first PAC-3 missiles in October 2007. 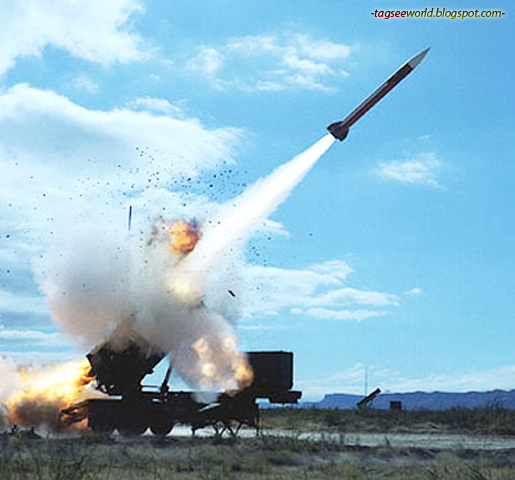 The US Army ordered another 112 missiles in May 2006 and 112 in March 2007. Lockheed Martin was awarded a contract in January 2007 for the risk reduction/ concept definition of a programme for an air-launched Patriot PAC-3 missile system. The F-15C fighter would be the first aircraft to be fitted with the system. In December 2007, the United Arab Emirates requested the foreign military sale of the Patriot system, including nine Patriot launchers, 288 PAC-3 missiles, 216 Patriot GEM-T missiles. The contract was awarded in December 2008. Kuwait has also requested 80 PAC-3 missiles and 60 GEM-T upgrade kits, a contract for the first six upgrade kits was placed in July 2008. In April 2008, Taiwan placed an order for a number of PAC-3 upgrade kits and, in October 2008, requested the sale of 330 PAC-3 missiles. The four functions combine to provide a coordinated, secure, integrated, mobile air defense system. 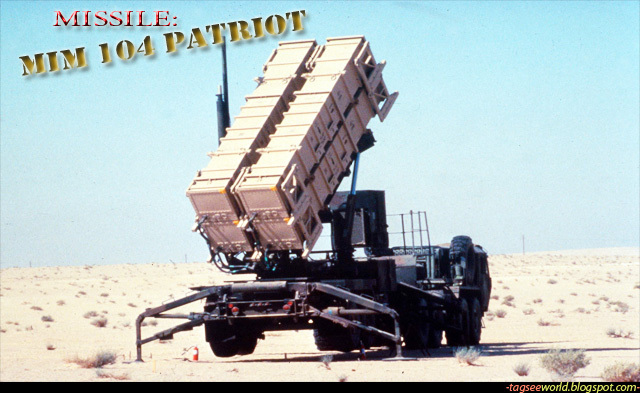 The Patriot system is modular and highly mobile. All components consisting of fire control section included radar set, engagement control section, antenna mast group, electric power plant and launchers are truck or trailer mounted. The radar set and launchers (with missiles) are mounted on an M860 Semi-Trailers which are towed by an M983 "Dragon Wagon" HEMTT. A Patriot battery can prepare its equipment for movement (from firing posture) in approximately 30 minutes. The system can be emplaced from movement posture into firing posture in approximately 45 minutes. Missile reload is done using a M985E1 truck with a crane on the back. This crane is bigger than the standard crane found on most HEMTTs. Called a "Guided Missile Transporter" or GMT, this crane removes spent "cans" (empty missile canisters) off of the launcher. It then replaces them with fresh missiles. Because the crane nearly doubles the height of the HEMMT when not stowed, crews informally refer to it as the "scorpion tail". A standard M983 with a regular sized crane is referred to as the LRPT (Large Repair Parts Transporter). The heart of the Patriot battery is the fire control section and associated launchers, consisting of the AN/MPQ-53 or -65 Radar Set, the AN/MSQ-104 Engagement Control Station (usually referred to as the "ECS", the OE-349 Antenna Mast Group, and the EPP-III Electric Power Plant. The system's missiles are transported on and fired from the M901 Launching Station, which can carry up to four PAC-2 missiles or up to sixteen PAC-3 missiles. A Patriot battalion is also equipped with the Information Coordination Central, or ICC, a modified ECS which is designed to coordinate the fires of a battalion and uplink Patriot on to the JTIDS network. The AN/MSQ-104 Engagement Control Station (ECS) is the nerve center of the Patriot firing battery. The ECS consists of a shelter which is mounted on the bed of an M927 5-Ton Cargo Truck or on the bed of a Light Medium Tactical Vehicle (LMTV) Cargo Truck. The main sub-components of the ECS are the Weapons Control Computer (WCC), the Data Link Terminal (DLT), the UHF communications array, the Routing Logic Radio Interface Unit (RLRIU) and the two "manstations" that is the system's man-machine interface. The ECS is air conditioned, pressurized (to resist chemical/biological attack), and shielded against Electromagnetic pulse (EMP) or other such electromagnetic interference. The ECS also contains several SINCGARS radios to facilitate voice communications. The WCC is the main computer within the Patriot system. It is a 24-bit parallel militarized computer with fixed and floating point capability. It is organized in a multiprocessor configuration which operates at a maximum clock rate of 6 megahertz. This computer runs the operator interface, calculates missile intercept algorithms, and provides limited fault diagnostics. Compared to modern personal computers it has somewhat limited processing power, although it has been upgraded several times during Patriot's service life. 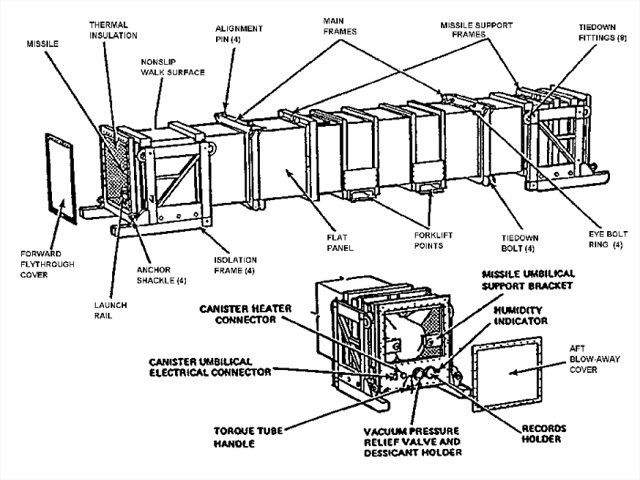 The DLT (Data Link Terminal) is the system which connects the ECS to Patriot's Launching Stations. It uses either a SINCGARS radio or fiber optic cables to transmit encrypted data between the ECS and the launchers. Through the DLT, the system operators can remotely emplace, slew or stow launchers, perform diagnostics on launchers or missiles, and fire missiles. The UHF communications array consists of three UHF radio "stacks" and their associated patching and encrypting equipment. These radios are connected to the antennas of the OE-349 Antenna Mast Group, which are used to create UHF "shots" between sister Patriot batteries and their associated ICC. This creates a secure, real-time data network (known as PADIL, Patriot Data Information Link) which allows for the ICC to centralize control of its subordinate firing batteries. The Routing Logic Radio Interface Unit (RLRIU) functions as the primary router for all data coming into the ECS. The RLRIU gives a firing battery an address on the battalion data network, and sends/receives data from across the battalion. It also "translates" data coming from the WCC to the DLT, facilitating communication with the launchers. Patriot's Manstations are referred to as Manstation 1 and 3 (MS1 and MS3). These are the stations where Patriot operators interface with the system. The manstations consist of a monochrome (green and black) screen surrounded by various Switch Indicators. Each Manstation also has a traditional QWERTY keyboard and "isometric stick", a tiny joystick that functions much like the mouse of a PC. It is through these switch indicators and the Patriot user interface software (organized into dozens of separate pages known as "tabs") that the system is operated. The missile control radar AN/MPQ-53 is a frequency-agile multifunction G/H-Band radar group which performs entailed in the Patriot tactical air defence missile system. The antenna array is a 2.44 m diameter, 5,161-element phased-array planar configuration carried on a semi-trailer chassis. The antenna unit has separate arrays for target detection and tracking, missile guidance and IFF functions. The last of these tasks is carried out by an AN/TPX-46(V)7 interrogator, using a supplementary array adjacent the main circular search and track array on the antenna unit. Other supplementary arrays are for sidelobe cancellation and missile guidance signal reception. The 3 to 170 km range radar performs its surveillance, tracking, guidance and Electronic Protective Measures (EPM) functions in a time-shared manner by using the system's computer to generate action cycles that last in milliseconds. Up to 32 different radar configurations can be called up with the beams tailored for long range, short range, horizon and clutter, guidance and EPM functions in terms of their power, waveform and physical dimensions. The data rate for each function can also be selected independently to give 54 different operational modes so that, for example, a long-range search can be conducted over a longer time period than a horizon search for low-altitude pop-up targets. None of the functions requires any given time interval which therefore allows a random sequence of radar actions at any one time, considerably adding to an attacker's ECM problem. The search sector is 90° and the track capability is 120°.The radar system has a capacity to track up to 100 targets and can provide missile guidance data for up to nine missiles. The AN/MPQ-53/65 Radar Set is a passive electronically scanned array radar which is equipped with IFF, electronic counter-countermeasure (ECCM) and track-via-missile (TVM) guidance subsystems. The Patriot Radar operates in the NATO G band frequency range, between 4 and 6 GHz. The AN/MPQ-53 Radar Set equips PAC-2 and older units, and the AN/MPQ-65 Radar Set equips PAC-3 units. The main difference between these two radars is the addition of a second traveling wave tube (TWT), which gives the -65 radar increased search, detection, and tracking capability. The radar's antenna array consists of over 5,000 elements which "flash" the radar's beam many times per second. Additionally, the radar's antenna array contains an IFF interrogator subsystem, a track-via-missile array, and at least one "sidelobe canceller" (SLC), a small array designed to decrease interference that might affect the radar. Patriot's radar is somewhat unique in that it is a "detection-to-kill" system, meaning that a single unit performs all search, identification, track, and engagement functions. This is in contrast to most SAM systems, where several different radars are necessary to perform all functions necessary to detect and engage targets. The detection range of the Patriot radar is in excess of 100 km, and it can simultaneously track up to 100 targets. The beam created by the Patriot's flat phased array radar is comparatively very narrow and highly agile compared to a moving dish. This gives the radar its unmatched ability to detect small, fast targets like ballistic missiles, or low radar cross section targets such as stealth aircraft or cruise missiles. Additionally, the power and agility of Patriot's radar is highly resistant to countermeasures, including electronic countermeasures (ECM) radar jamming and radar warning receiver (RWR) equipment. Patriot is capable of quickly jumping between frequencies to resist jamming.The Patriot Radar costs $38 million. There are a total of eight different variants of Patriot missiles: Standard, ASOJ/SOJC, PAC-2, PAC-2 GEM, GEM/C, GEM/T (or GEM+), and PAC-3. The first fielded variant was the round MIM-104A, "Standard". It was optimized solely for engagements against aircraft and had very limited capability against ballistic missiles. It had a range of 70 km (44 miles), and a speed in excess of Mach 3. 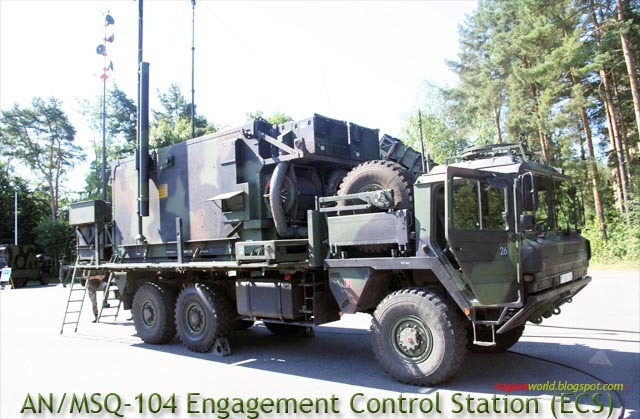 The MIM-104B "ASOJ" or "anti standoff jammer" is a missile designed to seek out and destroy ECM emitters. The MIM-104C PAC-2 missile was the first Patriot missile which was optimized for ballistic missile engagements. The GEM series of missiles (MIM-104D/E) are further refinements of the PAC-2 missile. The PAC-2's maximum range is reported to be around 160 km, and its speed was upgraded to Mach 5, making it substantially faster than the PAC-1. The PAC-3 missile is a totally new interceptor, featuring a Ka band active radar seeker, employing 'hit-to-kill' interception (in contrast to previous interceptors' method of exploding in the vicinity of the target, destroying it with shrapnel), and several other enhancements which dramatically increase its lethality against ballistic missiles. It has a substantially lower range of 15 km. 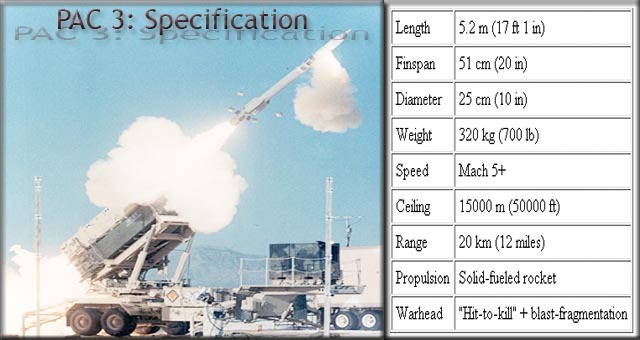 The specific information for these different kinds of missiles are discussed in the "Upgrades" section. The first seven of these are in the larger PAC-2 configuration of a single missile per can, four of which can be placed on a launcher. PAC-3 missile canisters contain four missiles, and as such sixteen rounds in total can be placed on a launcher. 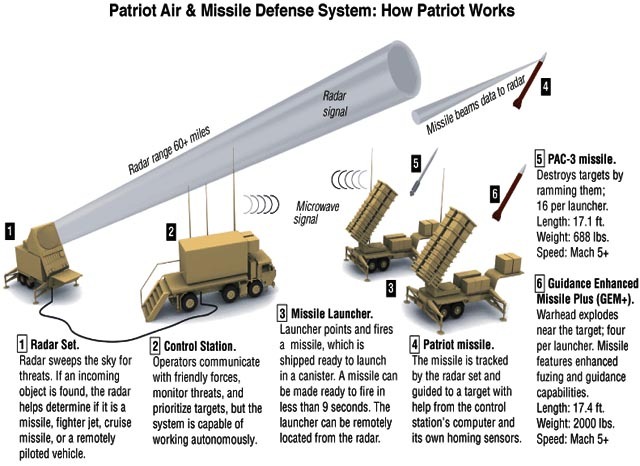 All Patriot missiles consist of a missile mounted within a canister that looks like a long box that is both the shipping and storage container and the launch tube. Patriot missiles are referred to as "certified rounds" as they leave the factory, and no additional maintenance is necessary on the missile prior to its being fired. The PAC-2 missile is 5.31 meters long, weighs 900 kg and is propelled by a solid-fueled rocket motor at speeds in excess of Mach 5. The Patriot missiles cost between $1 and $3 million dollars per copy, depending on variant. Patriot upgrades continue, with the most recent being new software known as PDB-6 (PDB standing for "Post Deployment Build"). This software will allow configuration 3 units to discriminate targets of all types, to include anti-radiation missile carriers, helicopters, unmanned aerial vehicles, and cruise missiles. The PAC-3 missile is currently undergoing testing for a significant new upgrade, currently referred to as "MSE" or "Missile Segment Enhancement". The upgrade includes a new fin design and a new, more powerful rocket engine. The modification is alleged to increase the operational capability of the current PAC-3 missile up to 50% and is scheduled to be added to all existing PAC-3 missile stores by 2008. Further upgrades to the dual-TWT radar set, the JTIDS uplink, and the system's processors and memory are scheduled to take place in the next few years. Is this the best, and few of its kind? There's nothing surprising about this, because America's military is always top of the line and quality. The technology of America is something that every country should model theirs. But of course, there's always the issue of money. Before any country could have a level of technology America has, they should be as rich or even richer as America. Every country has distinguished scholars, so it's no longer the issue. The issue really is the money and of course, effective and efficient governance. I don't think its the best though out there. The Russian S-400 is considered to be the best according the military experts however, the S-400/300 have never seen action in war. How much does each of these units cost ? How much does each missle cost ? How effective is each missle ? Last I checked a Chinese silkworm missle costs $40,000, and one of the patroit missles costs $400,000. So at the cost of $40,000 the enemy makes us spend $400,000. Pretty hard to win a war with that type of accounting. I have to agree with some of the earlier statements asking about how effective these missles are. I mean during the Golf War, they were supposed to be the gold standard, but Israel still got hit quiet a bit by the SCUDs. So this makes me start to really wonder if these are worth the cost or not. Il n'est pas exagéré de prétendre que les missiles sol-sol de fabrication soviétique Scud, dans leurs versions irakiennes à plus longue portée Al-Hussein et Al-Abbas, ont partagé la vedette avec les missiles Patriot dans cette guerre du Golfe éminemment technique. Leur utilisation sur le théâtre moyen-oriental, deux ans après la destruction des derniers missiles SS-12/22, SS-23 soviétiques et Pershing-1A américains réalisée dans le cadre du traité FNI, aura également relancé toute la problématique de la prolifération balistique, des nouvelles menaces pouvant survenir du Sud et des systèmes anti-missiles tactiques ATBM à mettre éventuellement en oeuvre dans le futur. Sans parler des quelques tirs de roquettes FROG que nous pouvons qualifier de dérisoires, depuis le début de l'opération Desert Storm le 17 janvier 1991 jusqu'à la suspension des hostilités le 28 février suivant, l'Irak a lancé 81 missiles, dont 43 Scud améliorés, contre l’Arabie saoudite, Bahrein et le Qatar. 29 auraient été interceptés par des Patriot, tandis que 14 autres se désintégraient en vol, tombaient dans des zones désertiques ou hors du champ d'interception des missiles anti-missiles. Dans sept cas, les débris retombèrent sur la zone visée, à Ryad, Dahran, Hafar-al-Batin et sur la cité militaire de King Khaled1. Quant aux 38 missiles tirés sur Israël, majoritairement sur des villes, comme Tel-Aviv et Haïfa, et au jugé sur les installations nucléaires de Dimona dans le désert du Néguev, le taux d'interception aurait été de 20 à 50 % selon les sources. Les Scud qui furent tirés depuis l'Irak et le Koweit occupé occasionnèrent peu de victimes, à l'exception du tir du 25 février sur la caserne Khobar, dans la banlieue de Dahran, qui fit 28 morts et 98 blessés parmi des militaires américains. Le missile irakien s'était désintégré en vol à cause de faiblesses structurelles de la cellule ; les quelques fragments qui tombèrent sur Dahran ne purent être engagés par les batteries de Patriot dont le logiciel de poursuite était à ce moment défaillant. Néanmoins, les tirs de Scud et les débris consécutifs aux interceptions firent quelques centaines de blessés, pour la plupart légers, et entraînèrent la destruction complète ou partielle de plus de mille appartements. Déjà, au 18 février, et selon Ariel Sharon, ministre israélien de l'habitat, les 35 premiers tirs de missiles Scud améliorés avaient endommagé 10 992 appartements situés dans 3 773 bâtiments ; soit 235 appartements complètement détruits, 1 553 moyennement endommagés et 9 204 légèrement atteints (en incluant les carreaux cassés et autres dégâts insignifiants). Mais ces destructions matérielles furent dérisoires à côté du choc émotif provoqué dès la première salve de huit missiles sur Tel-Aviv et Haïfa le 18 janvier à 0h30 GMT. Emotion intense due à la tension de la guerre déclenchée sans que les Israéliens aient été militairement engagés. Mais aussi état de choc politique puisque, pour la première fois depuis la création de l'état hébreu, Tel-Aviv elle-même, considérée comme le sanctuaire, fut touchée. Du point de vue structurel, ces mois de tension, puis de guerre, ont entraîné la fermeture des industries et services publics non essentiels à la vie du pays, ainsi qu'un ralentissement important de la vie économique et urbaine. Mais le pire était ailleurs. Malgré une préparation de quelques mois à l'éventualité de l'utilisation par l'Irak de missiles pouvant être dotés d'ogives chimiques, la réalité des premiers tirs balistiques provoqua un traumatisme dans la population. A chaque alerte, tous les habitants étaient invités, par secteurs géographiques, à mettre leur masque à gaz et à s'enfermer dans la chambre étanche, préparée dans chaque maison, dans chaque appartement. Dès le début de la guerre, à Dahran comme à Ryad, à Tel-Aviv comme à Jérusalem, les populations ont vécu avec la crainte d'une attaque balistique à composante chimique. Ils y furent préparés dès le mois d'août 1990, juste après l'invasion du Koweit, lorsque Bagdad menaça de s'en prendre à Israël, si l'armada américaine entrait en confrontation avec les forces de Bagdad. Ces attaques verbales avaient été précédées le 2 avril 1990 par l'avertissement de Saddam Hussein précisant qu'il détruirait la moitié de l’Etat hébreu, si celui-ci attaquait l'Irak. Depuis, la tension ne cessa de monter en Israël et la presse, dès ce moment, a évoqué ouvertement la possibilité d'une attaque aux missiles sur les villes du pays. En décembre, le président irakien déclarait dans un entretien enregistré à la télévision espagnole que Tel-Aviv serait la première cible de l'Irak en cas de conflit armé, même si Israël n'était pas impliqué dans l'attaque des troupes irakiennes occupant le Koweit. Déjà, une certaine psychose des gaz était bien présente en Arabie saoudite (2) et en Israël, dès les premiers jours de l'invasion du Koweit, et accentuée dès la formation de la coalition internationale anti-irakienne. Dans l'Etat hébreu, l'armée annonça à la mi-août qu'elle possédait assez de masques à gaz pour 4,5 millions de citoyens. Sous la pression de l'opinion publique et des critiques politiques, le gouvernement créa un sous-comité chargé de recommander la distribution - déjà expérimentée l'année précédente - au moment jugé le plus opportun. Finalement, le 1er octobre, en réponse à l'escalade des menaces de Saddam Hussein, et avec d'infinies précautions pour tenter d'atténuer l'impact psychologique, politique et militaire d'une telle mesure, - pouvant s'interpréter également comme un signe annonciateur de l'engagement militaire préventif d'Israël - le gouvernement annonça que la distribution des masques Simplex et des kits de protection NBC (seringues d'atropine et poudre de décontamination) pouvait débuter ; et qu'ultérieurement 1,75 million de masques devraient être fournis aux Palestiniens des territoires occupés (3). Suite aux injonctions de la Cour suprême, l'armée attribua - de manière partielle - des équipements de protection aux Palestiniens, que certains refusèrent néanmoins, afin de respecter les consignes de la Direction unifiée de l'OLP sur le boycottage de la distribution. La Finlande, la Suède et certains pays membres de la CEE proposèrent d'offrir des masques à gaz aux Palestiniens, afin de surmonter les freins psychologiques et politiques constatés en Israël dans la répartition des équipements et les obstacles dus au couvre-feu imposé dans les territoires occupés dès le 15 janvier à l'aube. L'objectif principal de la menace d'emploi des missiles balistiques par l'Irak était, au mieux, le renversement d'alliance, au moins, une grave déstabilisation des régimes arabes opposés à Bagdad, en espérant une réaction violente de l'Etat hébreu, qui eût mis certaines alliances ponctuelles ou d'opportunité arabo-occidentales à mal, bien que l'Egypte n'ait pas caché dès le début de la crise que des représailles israéliennes seraient légitimes en cas de riposte à une agression. La menace, puis les salves de missiles Scud améliorés, imposèrent à la population civile un climat d'incertitude permanente, dans la confusion des alarmes répétées sur un territoire restreint, considérablement désorganisé d'un point de vue économique et social. En cela, l'utilisation des missiles à portée moyenne fut bien une arme terroriste, bien plus qu'un système de combat, dans la mesure où ses effets destructeurs furent très peu significatifs, militairement s'entend. La réaction politico-militaire israélienne balança durant ces mois entre le désir d'intervenir préemptivement ou d'attendre la frappe irakienne de provocation. Déjà, à l’automne, les officiels israéliens déclaraient qu'ils interviendraient automatiquement si leur pays était agressé, tout en critiquant la diffusion, en temps différé, des informations glanées par les satellites américains au-dessus du Golfe. On a su après la guerre qu'Israël avait prévu de mener une vaste opération de représailles en Irak au lendemain du tir des Scud du 18 janvier, avec la mise en oeuvre d'une offensive combinée aéroterrestre (qui imposait de traverser la Jordanie) s'étalant sur plusieurs jours, pour détruire les lanceurs de missiles. Mais pour la première fois, Israël laissa un pays arabe le frapper sans exercer de riposte. Cet attentisme douloureux, ce profil bas, fut la résultante de plusieurs facteurs. Malgré le souhait de l'armée et de son chef d'état-major Dan Shomron, ainsi que de certains membres du cabinet d'Ytzhak Shamir, le gouvernement israélien ne souhaitait pas tomber dans le piège irakien. Tel-Aviv avait pris en compte toutes les conséquences de sa réaction éventuelle et décidait de s'en tenir au principe de la protection de sa population - à la fois passive, avec les protections anti-gaz, et active, avec l'utilisation des missiles Patriot dans une option ATBM. C'est le vice-ministre des Affaires étrangères, Benjamin Netanyahu, qui résuma cette attitude par la formule qu'"Israël ripostera avec sa tête et non avec son coeur". Cette politique était d'autant plus judicieuse que la communauté internationale, dont l’Union soviétique, avait condamné vigoureusement l'attaque irakienne contre Israël. Cette réprobation collective fut à tout moment rappelée lors des entretiens américano-israéliens, avant et pendant le conflit, alors que Washington offrit de se charger lui-même de la réplique en attaquant les rampes de missiles menaçant l'Etat juif et en intensifiant le déploiement de missiles Patriot en Israël. Jamais depuis sa fondation en 1948, l'Etat d'Israël ne s'en était remis à des tiers pour assurer la défense de son territoire et de sa population. Mais, comme le soulignait avec pragmatisme Dan Margalit, dans le très sérieux quotidien israélien Ha'aretz, "tandis que les Américains envoient les meilleurs de leurs missiles sur la capitale irakienne et sur les bases militaires, quelle menace supplémentaire y a-t-il à ce que les Israéliens s'associent à l'assourdissant orchestre aérien ?" Et "lorsque Washington fait état de 2 000 sorties d'avions par jour, cela ne changerait pas grand chose si l'armée israélienne en ajoutait 36, 59 ou 104" ! Cependant, si l'attentisme israélien avait pour objet inavoué de disposer de meilleures cartes politiques pour l'après-guerre, Tel-Aviv voulait éviter que cette passivité pût être interprétée à la longue pour de l'impuissance, pour une soumission totale à Washington. Le premier ministre Shamir laissa ainsi entendre, le 28 janvier, que la retenue de son pays cesserait dès lors que l'Irak effectuerait une attaque chimique contre l'Etat hébreu. Et si, du côté israélien, chaque salve de missiles entraînait un sentiment de crainte et de révolte difficilement contenu, pour bon nombre de Palestiniens des territoires occupés, "chaque tir vengeait leur honneur bafoué depuis des décennies". Et de voir et d'entendre les danses et hurlements de joie de certains Palestiniens qui saluaient, depuis les toits de leur maisons, chaque missile tiré sur les villes israéliennes. chaque Scud qui touchait le territoire israélien accentuait davantage le fossé entre les deux communautés. La menace chimique, qui fut obsédante dans la région mais aussi dans l'opinion publique et les médias de la communauté internationale, se focalisa sur les missiles Scud. Pourtant les Scud qui furent lancés sur Israël et l'Arabie saoudite ne contenaient aucune ogive chimique, mais uniquement de l'explosif conventionnel. L'explication de cette absence d'agent chimique dans le cône de charge est multiple. l'Irak possédait bien des ogives chimiques, comme l'avait déjà prédit le chef des services de renseignements militaires israéliens, le général Ammon Shahak (4), en contradiction avec les affirmations de Moshe Arens, ministre de la défense, qui estimait en août 1990 que l'Irak n'avait pas encore maîtrisé la technique permettant d'armer ses missiles d'une tête chimique (5). Cette capacité chimique fut confirmée officiellement le 18 avril 1991 lorsque Bagdad transmit au secrétariat de l'ONU et au président du conseil de sécurité une lettre contenant la liste de ses armes chimiques, biologiques et de ses missiles à longue portée, comme le Conseil de sécurité le lui avait demandé dans sa résolution 687 adoptée le 3 avril. Parmi les stocks résiduels de missiles déclarés, l'Irak cite 52 missiles balistiques (1 Scud et 51 Al-Hussein à Taji) et 30 ogives chimiques pour missiles Al-Hussein stockées à Dujayl (6). Quant aux lanceurs, il n'en resterait que 6 à Rashid Camp et 32 en zone Ouest. En réalité, les missiles Al-Hussein et Al-Ablas, dont les charges utiles atteignaient respectivement 500 et 350 kg, ne pouvaient recevoir les ogives chimiques - s’il y en eut - des Scud B non modifiées, dont la charge utile atteignait 1 tonne. En outre, les vitesses de "rentrée" de ces missiles, de 600 et 900 km de portée, mach 5 à 6, devaient engendrer un réchauffement de la tête militaire qui aurait peut-être pu décomposer tout ou partie du produit. Il aurait fallu des têtes chimiques protégées contre les hautes températures. Enfin, l’arme chimique exerce des effets notables par dispersion sur le terrain : une tête de 350 kg est très inférieure à cet égard à 100 petites têtes de 3,5 kg chacune dispersée sur quelques km2. Au début de la guerre du Golfe, le nombre de lanceurs Scud était estimé, par Daniel Leshem du Jaffee Center for Strategic Studies de l'Université de Tel-Aviv, à 50 unités dont 24 à 30 adaptées au tir de missiles Al-Hussein et Al-Abbas. Les estimations de l'IISS tablèrent sur 36 lanceurs, et le SIPRI sur 350 missiles Scud alors que le Jane's évaluait, au 26 janvier, le potentiel irakien à 36 lanceurs fixes et 36 mobiles. D'autres évaluations alliées allaient de 400 à 1500 missiles. Le SS-1C Scud B a été conçu pour transporter une ogive de 985 kg sur une distance de 300 km, avec une erreur circulaire probable de 950 m. L'Irak a modifié le missile - avec l'aide d’ingénieurs est-allemands et nord-coréens - afin d'accroître sa portée. Si la charge est moins importante, la version Al-Hussein, expérimentée en août 1987, peut transporter une ogive de 500 kg sur 650 km, grâce à une augmentation de volume des réservoirs de propergol liquide, avec une erreur circulaire probable de 1 600 à 3 200 m. Quant aux Al-Abbas, dont le premier tir d'essai eut lieu en avril 1988, ils peuvent délivrer une charge de 300 kg d'explosifs à 900 km de distance, avec une erreur circulaire probable de 3 200 à 4 800 m ! Les lanceurs pouvaient être en sites fixes, mais également mobiles. Dans ce dernier cas, les véhicules transporteur-érecteur-lanceur (TEL) Al-Nida et Al Waheed - versions arabes du Tel Maz 543 soviétique, du Sabb Scania suédois ou peut-être du Daimler-Benz MB 336A - se déplaçaient dans bien des cas à proximité des sites de lancements fixes (7). Ces sites, connus des Irakiens avec détermination préalable précise des coordonnées, permettaient aux lanceurs mobiles de recalculer les paramètres de tir en s'aidant des données préétablies. Soit les plate-formes mobiles lançaient les Scud modifiés depuis les sites fixes préalablement enregistrés ; soit elles les tiraient à proximité, dans un rayon de quelques kilomètres de distance, avec un degré raisonnable d'imprécision pour un ciblage d'objectifs démographiques, mais inacceptable contre des objectifs ponctuels. Après l'alimentation du missile en carburant liquide, l'engin balistique devait être nécessairement lancé dans les 24 heures ; contrainte de temps renforcée par les délais de préparation au tir et de rechargement éventuel d'un nouveau missile, pouvant se chiffrer en heures. Ces délais importants étaient compréhensibles en raison des problèmes d'alignement de la centrale inertielle avant le tir, des contraintes de camouflage et de décrochage, des difficultés de manipulation et des exigences de sécurité consécutives au carburant utilisé et au nécessaire refroidissement du lanceur non doté d'un caisson de protection. D'un point de vue militaire, les Scud améliorés furent d'excellentes armes psychologiques, mais "techniquement primitives et militairement insignifiantes" (8). Primitives au point que les Irakiens utilisèrent du contre-plaqué dans certaines sections de la cellule des Scud modifiés afin d'en améliorer de manière rudimentaire la portée. La fragilité du système fit que certains missiles irakiens se désintégrèrent en vol sans le secours des Patriot, avec parfois des conséquences dramatiques, comme ce fut le cas à Dahran le 25 février. Quant à la faible précision de ce missile de première génération, elle s'expliquait par la médiocrité de la technique de la centrale inertielle, le bricolage de la cellule, l'instabilité imprimée par le carburant sur la trajectoire balistique et l'impossibilité de déterminer la position avec l'aide de satellites, qui auraient permis d'ordonner un recalement en trajectoire terminal. Les missiles assaillants, dont la charge utile avait été réduite, ne présentaient en réalité de danger que pour les personnes se trouvant dans la zone immédiate d'impact du missile ou de ses fragments, sans omettre ceux des intercepteurs Patriot. Deux recours furent entrepris pour réduire et tenter d'annihiler la menace balistique irakienne. Parallèlement à la mise en service de missiles anti-aériens Patriot, les Etats-Unis intensifièrent les patrouilles aériennes anti-Scud au-dessus de l'Irak. Déjà, l'objectif prioritaire des premières vagues d'attaque aérienne avait été de détruire les C-3I, l'aviation irakienne, les sites NBC, mais aussi de mettre hors d'usage les batteries fixes de missiles Scud améliorés, des aires de lancement H2 et H3 dirigées vers Israël, et celles menaçant les puits de pétrole saoudiens ou les concentrations militaires américaines en Arabie saoudite. Malgré l'absence de mesures efficaces de protection-durcissement des lanceurs Scud et la rusticité du système d'arme, il ne fut pas aisé de détruire rapidement par des frappes aériennes les plate-formes mobiles. Aux conditions climatiques souvent peu favorables au traitement des objectifs, devaient s'ajouter la dissémination des TEL (tirs "en solitaire"), les lancements de nuit avec décrochage ou camouflage, l'usage de leurres, et la difficulté de localiser les Scud mobiles qui furent déplacés des installations de stockage à Taji sur plusieurs sites et aires de dispersion préalables dès l'invasion du Koweit. Les Etats-Unis et les Britanniques improvisèrent une tactique pour chasser les TEL en utilisant les F-15 E Strike Eagle, et parfois les A-10 Thunderbolt-II ; aidés en cela par les Tornado GR1-A de reconnaissance pour l'identification des sites de lancement, les E3 Sentry et les TR-1A pour la localisation des déplacements, sans oublier les satellites à infra-rouge et les AWACS détectant l'activité de mise à feu des moteurs-fusées (9). Dans certains cas, des commandos des forces spéciales balisèrent les rampes de Scud avec des lasers portatifs, afin de permettre aux chasseurs-bombardiers alliés de les détruire avec leurs armes "intelligentes". Aidés des informations provenant de ces diverses sources de renseignements, les F-15 en mission CAP (combat air patrol) vingt-quatre heures sur vingt-quatre finissaient par repérer les larges tranchées couvertes par une toile où étaient dissimulés les Scud. Une patrouille typique anti-Scud pouvait durer 5 à 6 heures, avec des ravitaillements en vol, après le décollage, puis après l'attaque contre les lanceurs irakiens. Les avions patrouillaient par deux ; le leader était armé de 4 bombes à laser CBU-10 de 900 kg chacune, tandis que le convoyeur disposait sous chaque aile de 12 bombes MK-82 ou de 6 bombes à effet combiné CBU-87/B incorporant une tête à fragmentation, un constituant incendiaire et un constituant anti-blindage. Les avions qui patrouillaient dans la zone de déploiement des Scud tiraient en général leurs munitions guidées vers 4 500 m d'altitude à des distances de 6 400 m de la cible. En fin de patrouille, les F-15, remplacés par d'autres, pouvaient encore attaquer d'autres cibles préétablies ou d'opportunité afin de se débarrasser de leurs munitions non employées. Grâce à l'efficacité et à l'agressivité des patrouilles aériennes anti-Scud le nombre de tirs irakiens diminua progressivement. Quelques jours avant la fin des hostilités, les tirs eurent lieu à portée maximale depuis le nord de l'Iraq, alors que les patrouilles anti-Scud étaient nécessairement concentrées plus au sud. L’US Air Force envisagea un moment d’utiliser des missiles air-air Amraam tirés par des F-15 C et D sur les missiles irakiens. L'autre technique de destruction des Scud fut basée sur l'emploi de missiles sol-air Patriot qui impressionna favorablement - peut-être avec quelque démesure - le grand public. La première attaque par Scud amélioré, a eut lieu le 18 janvier, au moyen de 7 missiles et ce n'est qu'à partir de la quatrième salve, le 23 janvier, que les missiles Patriot réussirent à intercepter avec succès le quatorzième missile irakien visant Israël, après une première tentative avortée le jour précédent. Au total, sur les 62 premiers tirs de Scud, les Patriot en ont détruit 39. Une majorité relative de ces missiles sol-sol ont été détruits par les missiles Patriot (10) qui ont une certaine capacité anti-missile dans leur version Pac-2 (Partial Anti Tactical Balistic Missile Capability, Phase II), la plus récente. Plus d'une centaine de lanceurs furent déployés grâce à des transferts maritimes et des ponts aériens dans la région moyen-orientale : en Turquie (2 batteries américaines et 2 batteries néerlandaises) ; en Arabie saoudite (60 lanceurs américains venus de Fort Bliss et d'Allemagne) et en Israël (une dizaine de batteries américaines et néerlandaises). Deux batteries de Patriot Pac-1 arrivèrent en Israël quelques jours avant le 15 janvier, qui marquait la fin de l'ultimatum des Nations Unies à l'Irak. Soixante hommes de l'Israël Air Force chargés de leur maniement avaient suivi un programme accéléré d'entraînement, de 18 semaines au lieu des 9 mois prévus. Coûtant à l'achat 117 millions de dollars par batterie, les Etats-Unis finirent par les vendre à Israël pour 40 millions l'unité ; la Chambre des Représentants approuva, le 7 février, une aide à la reconstruction de 650 millions de dollars, au lieu des 960 millions qu'Israël avait à l'origine demandés. Mais cette livraison, qui était un gage américain afin de maintenir Israël en marge du conflit, n'empêcha pas les premières salves de Scud. Le système d'arme, qui ne fut opérationnel que le 20 janvier, n’était qu’anti-aérien (Pac I). au même moment, d'autres batteries de Patriot, dans la version Pac-2 et servies par les Américains, se déployaient aux alentours des villes israéliennes, grâce à un gigantesque pont aérien effectué dans la nuit du 19 au 20. Il fut suivi d'un déploiement supplémentaire dans la nuit du 24 au 25 janvier. Les Pays-Bas proposèrent de transférer en Israël, dès le mois de février, 8 lanceurs de Patriot Pac-1 et du personnel néerlandais provenant de la base de Blomberg en RFA. Bonn envisagea également d'envoyer 8 lanceurs de Patriot aux Israéliens (sans les servants), mais ils ne furent pas livrés, car les missiles de l'armée allemande n'étaient pas optimisés pour la lutte contre les Scud (version Pac I). Finalement, le gouvernement allemand qui, au départ, envisageait une aide financière de 150 millions de marks, pour qu'Israël en achète aux Etats-Unis, décida d'offrir une batterie dans le cadre de cette aide. En Arabie saoudite, 90 lanceurs de Patriot Pac-1 et Pac-2 furent progressivement déployés à partir de septembre autour de la base de Dahran, de la capitale Ryad, des raffineries de Abqain et près de sites militaires. En Turquie, des batteries américaines, ainsi que les deux batteries néerlandaises des 502e et 503e escadrons du 5th Guided missile Group de la RNAF, totalisant 10 lanceurs et 80 missiles, furent opérationnelles le 20 janvier près des bases d'Incirlik, Diyarbakir et Batman. L'efficacité relative du système anti-aérien Patriot dans ce mode anti-missile dépendit étroitement de la redondance, de la rapidité et de la qualité des transmissions - en temps réel - des données concernant les tirs de missiles irakiens. Ce sont les Awacs en vol, mais aussi deux des satellites DSP de veille avancée (Defense Support Program), destinés normalement à localiser les tirs d'ICBM, en orbite géosynchrone au-dessus du Golfe Persique et de l'océan Indien, qui peuvent détecter toutes les douze secondes (équivalent à la durée de rotation du satellite et donc du téléscope aux 6 000 senseurs à infra-rouge sur lui-même) la mise à feu des missiles. Ces informations étaient transmises à la station de Nurrungar (réseau Pine Gap) près d'Alice Springs en Australie et à des avions RC 135U, qui les répercutaient directement, via les satellites de communications TDRSS, vers l'US Space Command's Missile Warning Center (NORAD) à Cheyenne Mountain (Colorado) et vers les véhicules de commandement/transmission des bataillons de Patriot. Le transfert des données depuis les deux satellites jusqu'aux ordinateurs des stations Patriot aboutissait 5 minutes après le tir des missiles Scud ; ce qui laissait environ 80 secondes aux batteries de Patriot pour les intercepter. Une semaine plus tard, le Space Command réussit à relier directement les satellites de détection aux batteries de Patriot, par le biais de ces R 135U, ce qui porta le délai d'interception à 4 ou 5 minutes. Ainsi, selon la portée et l'objectif du missile, l'inclusion ou non de la fenêtre d'aveuglement des téléscopes à infra-rouge et bien d'autres paramètres pondérateurs, il restait de 1 à 7 minutes avant l'impact pour prendre les mesures défensives, dont le tir, en mode automatique (ce qui fut le cas dans 70 % des tirs) ou semi-automatique, de deux missiles Patriot, pour chaque missile assaillant dont la vitesse terminale était de mach 5 - mach 6 (11). Une seconde salve automatique était prévue afin de réduire certains débris trop imposants ou détruire le missile encore intact. Reste que le système Patriot, même en version Pac-2, n'est pas un véritable ATBM : c’est d'abord un missile anti-aérien. Or, la zone que pouvait défendre un Patriot était très limitée (moins de 5 km) et les débris consécutifs aux interceptions étaient encore dangereux, dans la mesure où il n'y avait pas d'effet de choc direct, mais explosion de proximité. Bon nombre de Scud se fragmentaient et pouvaient changer de direction selon les paramètres d'interception et les contingences atmosphériques. Par ailleurs, les têtes Pac-2 n'ont pas été conçues pour contrer des missiles d'une portée supérieure à 500 km et qui fondent à des vitesses plus importantes ; situation qui obligea l'US Army missile command et le constructeur Raytheon à tenter de modifier sur place certains logiciels pour les batteries de Patriot. En vérité, beaucoup de Patriot n'ont pas réussi à détruire les têtes explosives des missiles Scud malgré la technique, assez primitive (elle date des années cinquante) de ceux-ci, dans la mesure où leur charge à fragmentation explosait généralement à plus de 10 m de la cible. Dans la plupart des cas, les Patriot ont simplement dévié la trajectoire des Scud irakiens en les fragmentant, sans les faire nécessairement tomber hors des zones habitées. Enfin, plusieurs tirs incontrôlés de missiles Patriot furent provoqués par des erreurs humaines ou l'existence de perturbations électromagnétiques d'origine naturelle. Selon Théodore A. Postol, professeur au Massachusetts Institute of Technology, le nombre de victimes et de logements touchés en Israël aurait beaucoup augmenté après que les batteries Patriot furent devenues opérationnelles. Ainsi, 13 Scud ont endommagé 2 698 appartements et blessé 115 personnes, tandis qu'après le déploiement des Patriot, les 11 Scud interceptés et les débris consécutifs aux interceptions endommagèrent 7 778 appartements, faisant 168 blessés et 4 morts ; ces derniers, pour la plupart de manière indirecte. Mais cette "statistique" porte sur de trop faibles nombres pour être accueillie sans réserves. Pour Postol, on a eu recours à un total de 158 missiles pour contrer les 81 missiles Scud lancés sur Israël, l'Arabie saoudite, Bahrein et le Qatar. Selon les chiffres officiels de l'armée, 45 ont été interceptés ; les autres, dont certains n'ont volontairement pas été pris en charge, ont réussi à traverser les défenses, se sont désintégrés en vol, sont tombés sur des zones inhabitées ou ont été tirés avant l'entrée en fonction des batteries de Patriot (12). Cependant, selon un rapport américain, l'Israël Defence Force qui assumait la responsabilité opérationnelle de toutes les batteries, même servies par l'US Army, n'aurait pas utilisé la procédure automatique d'engagement prévue, mais aurait expérimenté des variations de mise en oeuvre. Cette différence pourrait expliquer les dommages importants consécutifs aux interceptions à trop faible altitude. Par ailleurs, l’écart entre les estimations des taux d'interception et de coups au but s'expliquerait par le déploiement précipité des batteries de Patriot en Israël et une dissémination insuffisante des unités de tir. Malgré ces conclusions contradictoires, la mise en oeuvre des Patriot, qui n'ont pas une capacité ATBM optimale, aura permis d'éviter certains dégâts plus destructeurs en termes de vies humaines, car plus localisés, et aussi servi d'arme psychologique capable de dissuader Israël de répliquer. De toute évidence, l'attaque des Scud et le profil bas adopté ont permis à Israël de retourner virtuellement la politique de provocation contre le dictateur irakien lui-même. Cependant, Israël a pu apparaître comme un protectorat américain dans la région, alors que Washington a réussi la prouesse d'orienter la politique de sécurité de l'Etat hébreu vers un concept davantage défensif. Le Patriot est né d'études réalisées dès 1961 dans le cadre des projets FABMDS (Field Army Ballistic-Missile Defense System) et AADS-70 (Army Air Defense System for 1970). C'est en 1963 que l'US Army lançait des appels d'offres relatifs à un système désigné SAM-D (Surface-to-Air Missile-Development) qui devait succéder au Nike Hercules et au Hawk anti-aériens. Les exigences principales concernaient la réduction des besoins logistiques du système sol-air, la capacité d'interception d'aéronefs procédant à des manoeuvres serrées à basse altitude, une mobilité suffisante et une forte résistance au brouillage. C'est sur la base du cahier des charges que le Missile Command de l'US army commanditait, dès octobre 1964, l'étude d'un système de défense aérienne contre les avions et les missiles balistiques à courte portée. Mais, pour des raisons d'ordre financier et technique, le contrat remporté en mai 1967 par Raytheon (contractant principal) et Martin Marietta Aerospace (principal sous-adjudicataire), au détriment de Hughes et RCA, n'impliquait plus une capacité ATBM. Et c'est également pour les mêmes raisons matérielles que les premières unités Patriot de l'US Army ne furent opérationnelles qu'avec retard, en avril 1985 à Giessen (RFA). Cependant, au cours du temps, le système Patriot fut amélioré avec des spécifications de plus en plus exigeantes : introduction du guidage TVM (Tracking via Missile), possibilité d'engagement multiple et simultané, capacité ATBM de moins en moins marginale. Il fut même envisagé un moment de réaliser une version dérivée du Patriot dans une fonction sol-sol à tête nucléaire, le T-16, développé par Martin Marietta. A côté de la version de base, anti-aérienne, est venu s'ajouter dès mars 1985 un programme Pac-1 (Patriot Anti-missile Capability-1) de modification du logiciel afin de permettre au radar de poursuivre des cibles en trajectoire balistique. Bien que le Patriot version Pac-1 ait pu intercepter à 10 000 m d'altitude un missile Lance, le 11 septembre 1986, dans le polygone de tir de White Sands (Nouveau Mexique), cette amélioration n'était pas suffisante pour rendre suffisante la capacité anti-missile du Patriot dans un réel environnement de guerre. Il faudra attendre la version Pac-2, plus perfectionnée, pour aboutir à des résultats plus probants, confirmés par le taux de réussite moyen des interceptions dans le Golfe. Cette version se caractérise par une modification du logiciel du missile et une nouvelle charge explosive à fragmentation, plus puissante, associée à une double fusée de proximité, afin d'étendre l'angle de l'onde de choc et répondre ainsi à l'éventuelle extrême vélocité des cibles. En novembre 1987, un Patriot réussissait à intercepter un autre missile Patriot simulant le profil balistique d'un SS-23 soviétique au-dessus du Nouveau Mexique. En juillet 1988, le Patriot devenait opérationnel contre les missiles tactiques. Du fait de la crise du Golfe engagée dès le mois d'août 1990, Raytheon a été obligé d'accélérer les premières livraisons de la version Pac-2, coûtant 500 000 dollars pièce, qui auraient débuté en septembre 1990 et dont 20 % des stocks furent tirés durant le conflit. Les améliorations sont d'autant plus faciles que le système est modulaire, de sorte que les trois types de modules - fonctionnel, d'intégration et d'interconnexion - sont aisément modernisables. La fonction normale du Patriot est d'assurer aux unités terrestres une couverture anti-aérienne dense et mobile, semblable à celle qui protègeait le corps de bataille de l'Armée soviétique. Le système mobile Patriot est normalement situé à l'arrière de la zone divisionnaire et doit soutenir les forces aéro-terrestres en interdisant l'accès aérien aux avions hostiles en pénétration. Les unités de Patriot peuvent ainsi créer un parapluie au-dessus des zones de combat terrestre, mais également autour de centres démographiques, de zones industrielles ou d' espaces logistiques. En configuration standard, un bataillon (765 hommes) comprend 6 batteries (ou unités de feu) disposant chacune de 8 lanceurs de missiles Patriot et de 32 missiles prêts au tir. L'unité de feu du système Raytheon MIM-104 A Patriot comprend un radar multifonctions, une station de contrôle d'engagement, un groupe électrogène, les véhicules de lancement de missiles, les véhicules de réapprovisionnement et de protection rapprochée. Le radar multi-fonctions à agilité de fréquences et à balayage électronique AN/MPQ-53 possède un volume de détection jusqu'à 24 000 m d'altitude. La précision remarquable dans l'interception est apportée par le système TVM (Tracking-via-Missile). Le guidage combine les avantages de la télécommande et de l'autodirecteur semi-actif du missile. Bien que le missile reste sous contrôle du sol pendant toute la durée de son vol, l'autodirecteur du Patriot se met à fonctionner dans la phase terminale de la trajectoire, afin de transmettre au radar les coordonnées de la cible par rapport au missile de défense. Au sol, le calculateur numérique à grande capacité soumet ces données à une analyse comparative et corrige éventuellement les ordres de guidage du missile Patriot grâce à ses quatre gouvernes aérodynamiques trapézoïdales enfichables. On peut ainsi réajuster le Patriot sur une trajectoire de "collision" jusqu'au moment du déclenchement de la charge à fragmentation. Le système radar Patriot est capable de suivre plus de 100 pistes et d'en engager jusqu'à 8 simultanément ; mais il ne peut guider que 3 missiles à la fois dans la phase terminale de leur trajectoire, dans la mesure où la cadence de transmission des données augmente considérablement à cet instant. - enfin, les programmes relatifs à la localisation rapide des composants défectueux et la vérification du système après réparation. Les calculateurs numériques facilitent aussi la tâche de l'opérateur dans l'évaluation de la menace, la délimitation des zones d'interdiction de tir et la détermination du tracé de la ligne de front. Le lanceur Patriot qui peut être déployé jusqu'à 1 km autour du SCE consiste en un lance-missiles quadruple installé sur un semi-remorque attelé à un tracteur et stabilisable par béquilles. Le véhicule comprend également deux autres modules : le terminal de liaison des données destiné à recevoir, décoder et exécuter les ordres du calculateur de conduite de tir, et transmettre l'état de disponibilité du lanceur et confirmer le bon suivi des instructions. 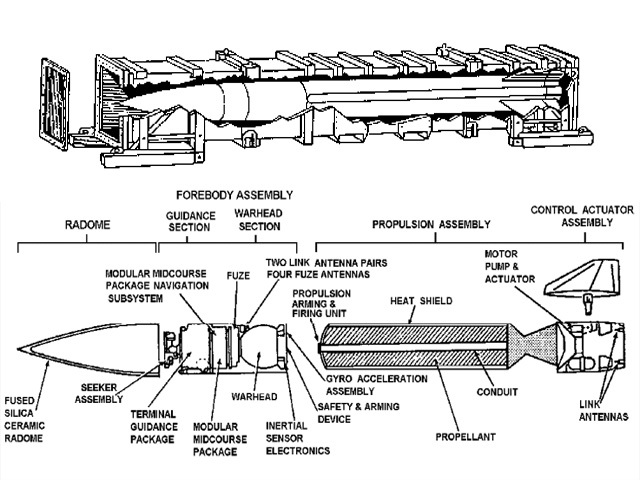 Le second module concerne l'ensemble des circuits électroniques du lance-missiles. D'un diamètre de 0,406 m pour une longueur de 5,18 m, une envergure de 0,914 m et un poids de 998 kg, le missile Patriot, propulsé par un moteur mono-étage à propergol solide, aurait une portée de 60 km, avec une altitude maximale de 24 km. La charge d'explosifs est constituée de 90 kg à fragmentation (700 éclats pour la tête Pac-2) avec fusée de proximité se déclenchant au plus près de la cible (13). A l'heure actuelle, plusieurs forces armées disposent du système Patriot. L'US Army met en oeuvre dix bataillons, avec 303 lanceurs entrés en service entre 1987 et 1990 ; deux sont déployés normalement aux Etats-Unis et huit en Allemagne avec 39 batteries. En 1984, les Pays-Bas commandaient 4 unités de feu Patriot, avec 20 lanceurs. Certains des équipements électroniques et d'appui logistique auraient été fournis par Fokker en vertu d’un accord conclu par Raytheon en janvier 1985. En RFA, les Etats-Unis ont financé l'achat de 14 des 28 unités Patriot allemandes au titre du programme FMS d'aide militaire. Les premiers missiles ont été déployés en 1989 et quelque 48 lanceurs seraient opérationnels pour le compte de la Luftwaffe. L'Italie a signé un accord avec les Etats-Unis en avril 1990 pour la fourniture à son armée de l'air pour 414 millions de dollars de 20 unités Patriot, dont la production partielle sera réalisée sous licence à partir de 1992 par Italmissile, un consortium formé par Selenia, BPD et Oto Melara. En contrepartie, Rome devra fournir une protection rapprochée aux 4 bases militaires américaines dans la péninsule avec des systèmes AA Spada, Skyguard et Breda. Tokyo également compte remplacer ses 180 lanceurs Nike-J de la Force aérienne d'autodéfense par 20 batteries Patriot, à compléter par 25 autres unités réalisées sous licence par Mitsubishi Corporation. Signalons enfin, sans s'appesantir davantage, que le missile Tien Kung, produit à Taïwan, incorpore 85 % de la technologie du système Patriot. Israël a conservé 4 batteries de missiles Patriot : trois provenant des unités américaines et une provenant de la Bundeswehr. Deux des batteries américaines ont été données à Israël dans le cadre de l'aide d'urgence de 650 millions de dollars pour couvrir les dépenses de défense civile durant la crise puis la guerre du Golfe (14). D'autres pays, aujourd'hui impressionnés par l'efficacité partielle du système Patriot, seraient désireux d'acquérir cette technologie SAM/ATBM : les Emirats, la Grèce, la Turquie, la Pologne, le Royaume-Uni et l'Arabie saoudite. Cette dernière aurait ainsi commandé, dès octobre 1990, 48 lanceurs, 384 missiles et les systèmes connexes, pour 984 millions de dollars dont la vente devait être reportée, dans un premier temps pour affiner le contrôle du Congrès sur les ventes d'armes puis, par la suite, afin de satisfaire au préalable les besoins américains dans la guerre du Golfe. A cet effet, Raytheon a dû faire travailler, en trois huit, ses 77 000 salariés afin de répondre à cette montée en puissance. Après cette première commande de 6 batteries qui seront livrées en 1993, Ryadh pourrait acquérir 14 batteries supplémentaires et 700 missiles pour la somme de 3,3 milliards de dollars. Il est maintenant acquis que la technologie de Raytheon/Martin Marietta va bénéficier des succès militaires enregistrés durant la guerre du Golfe. A ce jour, Raytheon aurait produit 100 unités de feu Patriot et 4 000 missiles, dont 1 000 pour la seule US Army. La dotation demandée pour l'année fiscale 1991 est de 817 missiles et Raytheon a déjà reçu 635 millions de dollars de l'armée de terre à cet effet, contre 429 millions dans le budget 1990. Le principal contractant a déjà cédé 103 millions à Martin Marietta pour continuer la production et l'assemblage des missiles Patriot jusqu'en 1993. Raytheon aurait reçu en sus 6 millions de dollars cette année pour une production additionnelle de Pac-2 après l'opération "Desert Shield". Cette décision du Pentagone est rendue nécessaire parce que les Patriot dont sont équipés l'US Army, la RFA et les Pays-Bas n'appartiennent pas tous à la version Pac-2. En outre, l'US Army missile command a accordé en février 27,2 millions de dollars à Raytheon pour modifier la configuration de 544 Pac-1 au standard Pac-2. Parallèlement, à la mise au niveau Pac-2 de toutes les têtes Patriot Pac-1, la guerre du Golfe a forcé les Etats-Unis à planifier la modernisation du système complet pour aboutir à terme à une version PAC-3. L'arme de terre et Raytheon poursuivent actuellement un programme urgent de modernisation, de 53 millions de dollars, afin de mettre au point un radar plus sensible, capable de détecter précocement les missiles balistiques tactiques. Un changement dans le logiciel permettrait aux missiles assaillants d'être localisés plus rapidement par le radar Patriot, ce qui favoriserait une plus grande flexibilité dans l'aire d'emplacement urbain et une augmentation de la couverture des sites. De plus, la modernisation qui doit donner au software la capacité de calculer en quelques secondes l'emplacement d'où a été lancé le missile, améliorerait grandement la capacité des forces aériennes à détruire rapidement les lanceurs fixes ou les lanceurs mobiles avant leur décrochage. A plus long terme, Raytheon développerait une tête PAC-3 pour missile multi-fonctions avec l'aide de Telefunken System (RFA). Il devra être capable de cibler avions et missiles plus rapidement grâce à l'introduction et la technologie VHSIC, sera hautement résistant aux contre-mesures électroniques et transportable plus aisément par C-130 et C-141. Quatre essais en vol ont eu lieu cet été à White Sands et une décision de poursuivre le programme a été prise en septembre 1991. De toute évidence, le syndrome du Scud et la prolifération balistique dans le Sud vont accélérer les recherches israéliennes en matière d'armes anti-missiles balistiques tactiques. Ainsi, le système Arrow (Chetz), mis au point par Israël grâce à des fonds - 158 millions de dollars - provenant à 80 % de l'organisation pour l’initiative de Défense Stratégique et reçus dès le mois de juin 1988, après la signature, le 6 mai 1986, d'un accord bilatéral sur le développement d'un intercepteur classique pour la défense terminale de zone. Le 9 août 1990, et après 2 essais de moteur, Israeli Aircraft Industries expérimentait pour la première fois le missile Arrow depuis un site localisé au sud de Tel-Aviv. Un deuxième essai a eu lieu au début de 1991, à partir d’une vedette israélienne en Méditerranée. La seconde phase de recherche-développement estimée à 340 millions de dollars (72 % des fonds américains) a débuté en août dernier et comprendra 11 tirs à réaliser durant 45 mois. D'une longueur de 10,97 m, ce missile ATBM aurait une portée de 70 à 90 km et serait capable d'intercepter des missiles d'une portée inférieure à 1000 km, jusqu'à 30 000 m d'altitude afin de protéger une série d'installations militaires dont le complexe nucléaire de Dimona. Basé sur un guidage inertiel à mi-course, puis un radar actif en phase terminale, le Chetz à deux étages atteindrait la vitesse phénoménale de mach 10. Lockheed Missiles and Space a signé avec IAI un contrat pour le développement opérationnel et la production de ce missile en vue d’une mise en service entre 1992 et 1995. Avec la R/D et le déploiement, le coût total du programme s'élèverait à environ 2 milliards de dollars. Afin d'accélérer ce programme, les Etats-Unis auraient offert 1 milliard de dollars à Israël à la fin de l'année dernière et les deux pays ont négocié au printemps un programme ACES (Arrow Continuation Experiments), que Washington va financer à 72 %, et qui doit rendre le système Arrow transportable, plus léger et d'une portée plus grande. Tel-Aviv souhaiterait pouvoir protéger ses sites prioritaires, et éventuellement ses villes, à l'horizon 2000. Si durant les années 80, les débats transatlantiques sur les ATBM, qui s'étaient déroulés de manière assez discrète, finirent par s'estomper après la signature du traité FNI sur le démantèlement des euromissiles et la détente Est-Ouest (15), aujourd'hui, les événements du Golfe vont relancer la problématique des anti-missiles sur les deux rives de l'Atlantique et naturellement focaliser un point d'affrontement technologique et industriel entre l'Europe et les Etats-Unis. En Europe, le projet majeur connu sous le nom d'Aster 30 (ou Aster Extended Range) intègre la "technologie-missile" de l'Aérospatiale, l'autodirecteur actif de Dassault Electronique et l'expérience de Thomson-CSF dans le domaine de l'électronique et de la conduite de tir. Il bénéficiera de l'apport technique de Selenia, qui a signé, le 15 juin 1989 et le 22 mai 1990, avec les deux firmes françaises plusieurs contrats dans le cadre d'un nouveau consortium GIE nommé Eurosam et attaché au développement conjoint des différentes versions de l'Aster. Né du programme SYRINX (système rapide inter-armées à base d'engins et fonctionnant en bande X), le binome radar-lanceur Arabel/Empar/Aster-15/30 a pour fonction la défense contre les avions, les missiles air-sol et sol-sol et les missiles de croisière, avec une possibilité de développement d'une capacité ATBM. Trois versions seront affectées à des cibles localisées à courte et moyenne portées, dans les cadres naval et terrestre ; l'Aster 30 devrait être capable d'intercepter efficacement les aéronefs, mais aussi les missiles supersoniques, depuis le sol (SAMP/T) ou depuis les navires (SAMP/N), lorsqu’ils effectuent des manoeuvres de pénétration à vol rasant ou à fort piqué. Ce futur missile sol-air à capacité ATBM devrait être en service à la fin des années quatre-vingt-dix. Selon les spécifications annoncées, l'Aster 30 sera un missile supersonique à propergol solide bi-étages avec une tête à fragmentation ; la portée maximale devrait atteindre entre 10 et 20 km en mode ATBM, pour une vitesse maximale de mach 3,5-4. Il sera plus performant que le Patriot, à la fois pour la vitesse, la portée, la manoeuvrabilité, la probabilité de destruction et la capacité d'effet de choc direct. Déjà, le 28 juin dernier, l'Aérospatiale testait un Aster pour évaluer le comportement du moteur et la course du missile. Les plans de l'armée française et de l'armée italienne envisageraient la mise en oeuvre respective de 30 et 35 unités SAMP, à la fois pour la défense de l'armée de terre et la protection des aérodromes. Avec les retombées de la guerre du Golfe, le programme Eurosam s'est élargi à l'Espagne, avec le consortium Iber-missile, et à la Grande-Bretagne (uniquement pour la version maritime tactique SAAM) (16), en attendant, éventuellement, la venue d'autres nations européennes. Le potentiel d'évolution est garanti grâce à la modularité du système avec, en option future, la mise au point possible d'un ATBM à part entière. Aux Etats-Unis, les enseignements du Golfe ont déjà renforcé la cause des partisans d'une IDS limitée. Déjà, dans son discours sur l'état de l'Union le 29 janvier dernier, le président Bush, tirant les leçons du succès des Patriot dans le Golfe, annonçait une réorientation de l'Initiative de Défense Stratégique pour améliorer la défense contre des frappes limitées de missiles balistiques à moyenne portée (17). Il y aurait, parallèlement aux recherches sur la défense spatiale contre les missiles stratégiques, des développements prioritaires en matière de défense atmosphérique et partiellement spatiale (Tactical Missile Defence Initiative, TMDI) par des systèmes basés à terre contre les missiles pré-stratégiques dans la phase terminale de leur trajectoire. L'Army Strategic Defense Command travaille actuellement sur un projet d'interception à deux échelons connu sous l'appellation Endoatmospheric/Exoatmospheric Interceptor (E2I) et qui serait dérivé du missile HEDI du projet IDS. L'interception haute, à plus de 100 km, serait effectuée par le missile THAAD (Theatre High Altitude Area Defence), tandis que l'interception basse serait confiée au missile Erint (Extended Range interceptor missile). Les centres de tir pourraient recevoir les données des satellites à infra-rouge Brilliant Eyes ou des GSTS, tous deux proposés dans le volet spatial du programme IDS. Aussi, le projet de budget 1992 demande 4,6 milliards de dollars pour l'IDS, dont 603 millions (contre 200 M.$ en 1991) pour le seul développement de défenses anti-missiles terrestres. La réorientation du programme IDS vers un nouveau concept défensif, connu sous le sigle de GPALS (Global Protection Against Limited Strikes) a un triple objectif : la défense contre une attaque balistique accidentelle de Républiques de la CEI, la défense contre l’attaque d’une puissance nucléaire mineure et la défense contre les missiles à courte portée. Elle prévoit le déploiement, dans l'espace et sur terre, de senseurs afin de garantir une surveillance continue et globale, ainsi que la poursuite avec lancement d'intercepteurs basés dans l'espace, dans l'atmosphère, à terre ou en mer, capables d'assurer une défense crédible pour la protection des cibles visées (18). Cependant, il n'est pas certain que la composante spatiale, basée sur 1 000 intercepteurs Brilliant pebbles puisse voir le jour pour des raisons techniques, mais surtout budgétaires. Un des éléments du programme GPALS est le TMDI, qui comprend à la fois la continuation du soutien au programme Arrow israélien, le missile Erint, l'Advanced Patriot ATM et le THAAD. Par ailleurs, l'US Army a transféré cette année le projet de modernisation de ses SAM Improved Hawk dans le projet SDIO afin d’ajouter des fonctions ATBM aux missiles sous l'appellation de Corps-Sam. Globalement, le Congrès américain a triplé les fonds pour une défense tactique dans le budget 1991 et l'administration Bush a demandé plus du double pour l'année fiscale 1992. Le syndrome du Scud durant la guerre du Golfe et la prolifération des armes balistiques dans le tiers monde ont relancé le débat sur l'opportunité de développer des ATBM en Europe ou dans d'autres régions industrialisées. A contrario, la destruction des derniers missiles à portée moyenne (FNI) ainsi que le retrait prochain des missiles à courte portée (SNF) pourraient faire paraître superflu en Europe le développement d'ATBM à part entière. Ces évolutions sont à mettre en relation avec les efforts du MTCR, et d'un COCOM revu et corrigé, pour contrecarrer l'exportation de techniques balistiques vers les pays du Sud, et à terme forcer les Etats du Proche-Orient, d'Asie et d'Amérique latine à signer un accord similaire au traité FNI de 1987. Déjà, l'ONU, par le biais de la résolution 687, a forcé l'Irak à détruire, entre autres, l'ensemble de son potentiel balistique de portée supérieure à 150 km, ainsi que les principaux composants et les installations de réparation et de production. Tandis que George Bush proposait le 29 mai dernier, dans le cadre d'un plan pour le désarmement au Moyen-Orient, un gel de l'acquisition, de la production et des essais de missiles balistiques de portée supérieure à 150 km. De même, il est clair que les tirs de Scud ont joué un rôle dans la décision américaine de renoncer à leur stock chimique de représailles de 2 % qui devait être conservé dix ans après l'entrée en vigueur de la convention internationale sur l'interdiction totale des armes chimiques. Cependant, des lacunes et insuffisances perdurent dans l'accord du Missile Technology Control Regime, fondé par le G7 en 1987 (19), qui n'inclut ni les 22 pays du tiers-monde possédant des missiles balistiques, ni la Chine et l'URSS ; certes, Moscou paraît appliquer de facto ses règles et les délégués du MTCR ont amélioré en 1991 la liste des techniques impliquées. Et l’on assiste aujourd'hui à de fortes pressions commerciales, qui proviennent des nouveaux producteurs d'armements balistiques, telle la Corée du nord, qui a livré en mars dernier 24 Scud-C à la Syrie après que les Soviétiques eurent refusé de lui fournir des SS-23 ; tandis que Pékin s'est vu menacé de sanctions commerciales par certains membres du Congrès américain pour avoir livré des missiles au Pakistan. En réalité, une des lacunes fondamentales du régime sur la surveillance des techniques balistiques vient de ce qu'il établit une distinction entre les progammes spatiaux civils et militaires. Or, la distinction entre les deux objets est difficile à établir. Aussi, l’un des points du plan global de maîtrise des armements et de désarmement proposé par la France, le 3 juin dernier, insiste-t-il sur l'idée que le MTCR devrait fixer des règles favorisant la coopération spatiale civile en écartant les dangers de détournements techniques en vue de l’obtention d'une capacité balistique militaire. Par ailleurs, les cinq membres permanents du Conseil de sécurité de l’ONU réunit à Paris se sont prononcés le 9 juillet dernier pour le gel et, à titre d’objectif final, pour l’élimination des missiles sol-sol ou Moyen-Orient. Il est en effet probable que la meilleure défense contre les missiles consisterait à lutter contre la prolifération, mais cette démarche n'est pas absolue. Devant ces incertitudes venues du Sud, dans un cadre de relations Est-Ouest moins tendues, deux tendances vont probablement coexister dans le domaine des anti-missiles tactiques. D'un côté, la problématique budgétaire, ainsi que la nouvelle détente en Europe, devraient amener certaines capitales à limiter leurs ambitions en décidant l'achat de têtes Patriot Pac-2 en remplacement de la première version. D’autres nations pourraient cependant acquérir de nouveaux systèmes multifonctions anti-aériens et anti-missiles tactiques plus performants, comme le Patriot Pac-3, les Hawk block 3 et 4 et, à terme, les Aster-30. Ces systèmes à double capacité anti-aérienne et anti-missile seraient suffisamment mobiles pour être déployés sur des théâtres extérieurs selon les circonstances. L’Europe devrait cependant résoudre le manque d’avions cargos lourds pour le transport des batteries (20) et acquérir une autonomie en matière de satellites de surveillance sans lesquels les systèmes ATBM seraient bien moins efficaces. La seconde tendance, plus lourde et à plus long terme, pourrait voir se réaliser de nouveaux systèmes strictement ATBM, mobiles, mais à même de protéger des objectifs hautement prioritaires au moyen de techniques balistiques, de lasers à électrons ou de canons électromagnétiques. C'est vers cette voie qu’Israéliens et Américains se dirigent pour la protection partielle de certaines zones de leur sanctuaire. Et que la France pourrait éventuellement s’orienter pour la protection de ses sites nucléaires et C3I de haute priorité, avec un éventuel Aster-45. Lors d'une intervention à l'occasion du forum de l'école de guerre consacré à la sécurité en Europe, le président Mitterrand avait déjà posé la question de savoir "quelle place donner à une défense limitée contre les missiles balistiques". En tout état de cause, il est probable que le système Aster sera inscrit dans les débats sur la nouvelle réorientation de la défense en France à la lumière du nouveau paysage européen (21) et des enseignements particuliers de la guerre du Golfe. Déjà, un rapport de Sir Dudley Smith, adopté par l'Assemblée de l'UEO en mai dernier, recommande au Conseil de charger les chefs d'état-major des pays de l'UEO d'étudier "la menace des missiles balistiques pour le flanc sud de l'Europe, ainsi que l'éventualité d'établir par la suite un besoin commun à l'Europe dans le domaine de la défense antimissiles balistiques". Tandis que les Etats-Unis ont présenté à leurs alliés le projet GPALS lors de la réunion du Comité des plans de défense des 28 et 29 mai 1991. Quoiqu'il puisse advenir des programmes ATBM, la guerre du Golfe aura redonné un coup de fouet à la problématique du bouclier face à l'épée pour les systèmes sub-stratégiques des théâtres d'opérations. Sources : Barbara Starr, "Ballistic missile proliferation. A basis for control", International Defense Review, mars 1990 ; Fred Donovan, "Mideast Missile Flexing", Arms control today, mai 1990 ; GRIP DATA ; Martin Navis, "Ballistic Missile proliferation in the Third World", Adelphi paper n° 252, Londres, IISS, 1990 ; Aaron Karp, "Ballistic missile proliferation", SIPRI Yearbook 1990, Stockholm, 1990 ; James Bruce, "The Middle East missile race", Jane's Defence Weekly, 1 avril 1989 ; Martin S. Navias, "Ballistic missile proliferation in the Middle East", Survival, mai-juin 1989 ; Janne E. Nolan, "Ballistic Missiles in the third World - The limits of Non-proliferation", Arms control today, novembre 1989 ; Ducan Lennox, "The global proliferation of ballistic missiles", Jane's Defence Weekly, 23 décembre 1989, Collectif, Missile proliferation Survey of Emerging Missile Forces, Congressional Research Service, Report for Congress, Washington, 9 février 1989 ; Michel Pochoy, "La prolifération des missiles balistiques", Stratégique, 1er trimestre 1990 ; William C. Potter et Adam Stulberg, "The Soviet Union and the spread of ballistic missiles", Survival, novembre-décembre 1990. 1 - Jeffrey M. Lenorovitz, "Poor Workmanship Discovered in Scud missile fragments", Aviation Week and Space Technology, 11 mars 1991, p. 61. 2 - Le Roi Fahd ordonna au gouvernement d'acheter des masques à gaz pour tous les résidents du royaume, soit au total 12 millions de personnes, mais en réalité, peu de travailleurs originaires du tiers-monde en disposèrent. 3 - CBW News, 1/91. 4 - Jane's Defense Weekly, 6 octobre 1990, p. 676. 5 - Au sujet du débat sur la capacité chimique balistique, Thomas L. McNaugher, "Ballistic Missiles and Chemical Weapons", International Security, automne 1990. 6 - Thalif Deen, "Iraq declares its missile inventory", Jane's Defence Weekly, 27 avril 1991. 7 - Selon un rapport du gouvernement allemand rendu public le 22 mai dernier, des firmes allemandes ont contribué à la construction de rampes de lancement mobiles aux côtés d'entreprises françaises, italiennes, suisses, autrichiennes et belges. 8 - Matthew Bunn, "Patriots and Scuds face off on Gulf War", Arms Control Today, mars 1991. 9 - John D. Morrocco, “War will reshape Doctrine, but lessons are limited”, Aviation Week and Space Technology, 22 avril 1991, p. 43. 10 - Certains Scud ont également été délibérément épargnés dans la mesure où l'ordinateur de tir du Patriot ne sélectionnait que les cibles dont la trajectoire entraînait une chute sur une cible militaire et démographique ; l'ordre d'interception était refusé si le Scud se dirigeait droit vers des zones inhabitées ou vers les eaux du golfe Persique ou de la Méditerranée. 11 - le second Patriot était destiné à “parfaire” la zone d'explosion. 12 - Jeffrey Smith, "The Patriot : less than Hero", International Herald Tribune, 18 avril 1991. 13 - André Dumoulin, “La renaissance des ATBM”, Avianews International, Ohain, mars 1991. 14 - Jane's Defence Weekly, 30 mars et 6 avril 1991. 15 - A ce sujet, lire Rik Coolsaet, “Les manoeuvres autour du bouclier spatial européen”, Dossier “notes et documents” n° 114, GRIP, Bruxelles, octobre 1987 ; Alain Baer, “ATBM, défense aérienne élargie et concept de dissuasion globale”, Défense nationale, Paris, août 1986 ; Groupe X-défense, Les défenses anti-missiles, la France et l'Europe, FEDN, 1986 ; Collectif, Défense spatiale et dissuasion : sécurité de l'Europe et de l'Alliance, CERIS, avril 1987 ; Ivo H. Daalder, Nato Strategy and Ballistic Missile Defence, Adelphi papers, n°233, IISS, Londres, hiver 1988 ; Alain Carton, “L'initiative de défense stratégique et l'Europe. La défense aérienne élargie”, Stratégique, 4e trimestre 1986 ; Jürgen Altmann, Benoît Morel, Theodore Postol et Thomas Risse-Kappen, “Anti-tactical Missile Defenses and West European security”, PRIF Reports n° 3, Frankfurt, juillet 1988. 16 - Récemment, British Aerospace et Raytheon se seraient associé pour proposer au ministère britannique de la défense de mettre au point une version améliorée du Patriot Pac-2 afin de remplacer les lanceurs fixes de missiles Bloodhound. Ce programme serait en concurrence avec le Nasam de Hughes/Plessey qui est une version dérivée sol-air du missile Amraam et à moyen terme avec l'Aster 30. 17 - Serge Grouard, "Politique spatiale militaire des Etats-Unis" dans Les lauriers incertains. Stratégie et politique militaire des Etats-Unis 1980/2000 sous la direction de François Géré, FEDN, 1991, pp. 113-165. 18 - International Defense Review, mars 1991, p. 188-189 ; Matthew Bunn, “Star Wars Redux : Limited Defenses, Unlimited Dilemmas”, Arms control today, mai 1991, pp. 12 et ss..
19 - Aujourd'hui, neuf autres pays - Benelux, Danemark, Espagne, Autriche, Norvège, Australie, Nouvelle-Zélande ont rejoint le groupe des pays fondateurs, à savoir le Canada, la France, la RFA, les Etats-Unis, l'Italie, le Japon et le Royaume-Uni. Quite a scary weapon if used in a war against you! Hope it's not something that will be used heavly in the near future because as far as I understood from this article it seems like this is something lethal. I bet NATO and the ONU will take an important role in the marketing/usage of this new weapon worldwide. Hello! The PADMS has been in service since the 80s if not the 70s and is used by NATO countries as well as the Gulf countries, Jaban, South Korea and many other countries. Heavy infantry! Really man! The system is very old and has gone through upgrade three times. PP3 is the recent one. Similar system with much more capability is also in the market under the name THAAD. Im very disappointed. I think you should consider changing your Username.